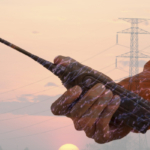 Two-way radios are incredibly reliable and durable devices. If your radio is acting odd or not working there are a couple of easy fixes you can try before contacting your local radio repair specialists. -The radio was not properly set in the charger and is therefore lacking a charge. -The radio is set on the incorrect channel. -The volume has been accidently turned down to inaudible levels. -The battery needs to be replaced. -The radio is not turned on. -A build up of dust has formed in important components. Some of these issues seem like no brainer problems you couldn’t possibly let slip by, but you might be surprised. 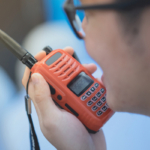 Checking over your radio to make sure everything is secured, clean and in the right position can help identify and quickly solve a large percentage of two-way radio problems. 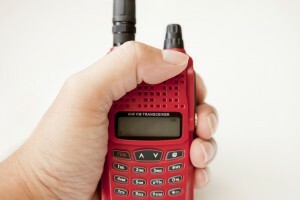 Continue reading to learn more about 4 common two-way radio problems and potential solutions. The worst thing that can happen when you go to use your two-way radio is that it will not turn on, rendering it useless. Make sure that the radio’s battery was properly attached to the charger for the appropriate amount of time. If the charger is properly attached but doesn’t seem to be working the actual battery might be dead. Batteries tend to last between 12 and 18 months. Radio batteries around this age may simply need to be replaced. Batteries can be replaced without replacing the two-way radio. To see if the problem is related to the battery or the radio, try putting the battery in a different radio. If another radio does work the issue is the radio, if that radio doesn’t work you just need a new battery. If your battery is not the problem you will need to contact your local radio service shop for troubleshooting and radio repairs. 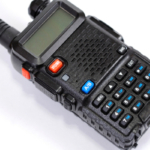 Your two-way radio continually produces a beeping sound. Non-stop beeping can start to make you feel a bit crazy; rest assured there are solutions to this rather common problem. -The microphone is lodged into incorrect mode. -The radio isn’t turned off. -The channel selector is properly programed. -Programming information has not been lost. -The battery power is too low to operate. -There is a stuck button on the radio. Productivity can quickly plummet if every time you go to send or receive a message you are met with annoying static. -Check if the microphone has a bad cord or faulty connection. -Check the antenna to make sure it is properly secured in place. -Check to see if the battery contacts are covered in dust and debris. If this appears to be the issue, you can use a pencil eraser to clean contacts. 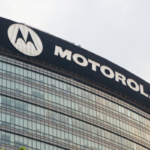 Memory effect, also known as battery effect, is a common issue that plagues two-way radios, as well as cell phones and other chargeable devices. If your two-way radio is not holding a charge but is not of age to go bad this might be your problem. This is especially likely if a radio is continually charged when there is still adequate battery life left. Eventually, charging batteries that still retain a charge will cause the battery to only partially charge. For instance, if you continually charge a battery with 40% battery capacity remaining, you may find your radio only holds a charge for 40% of its advertised charging capacity. In order to prevent memory effect from holding the full extent of your charging capacity hostage you can simply wait to charge it until the battery is fully exhausted. If a radio still has a 30% charge left, wait until it is nearly completely used up before placing on the charger. If your two-way radio battery is already suffering from memory effect you need to contact the provider. There are things that can be done to help reverse the damage. What do you do if your two-way radio is broken and none of the possible solutions provided above work? Simple, contact your local radio repair specialists. Contact Highland Wireless today if you need help pinpointing solutions for two-way radio problems.